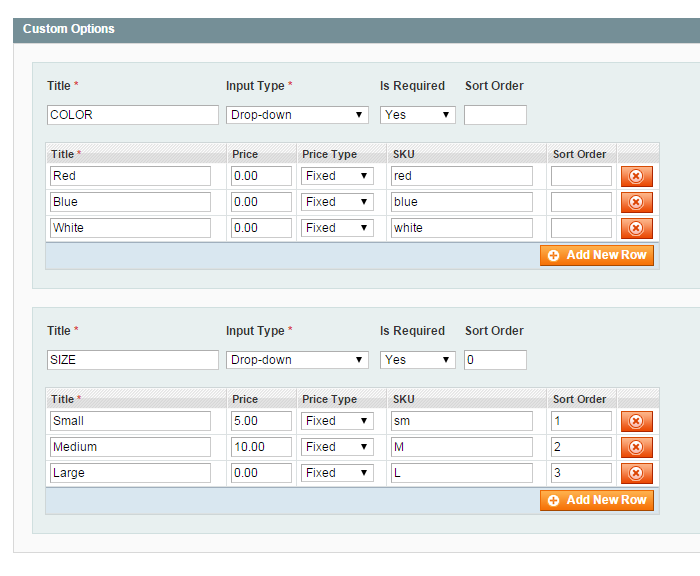 Some time ago we estimated a project for migrating products from CubeCart to Magento. The client had his products in CubeCart set up as simple products with custom options, and before we got into the technical details we decided to suggest him importing the products into Magento as configurable products with their respective simple product variants. We had covered the product types of Magento once, and this time we will focus solely on the advantages and disadvantages of configurable products and simple products with custom options because it looks like people often confuse them or simply don’t completely understand the difference. First, a short introduction in case you don’t feel like reading the article about the product types in Magento. If you have a product “Supercool shoes” in many different sizes, you can set it up as a simple product with custom options for each size. 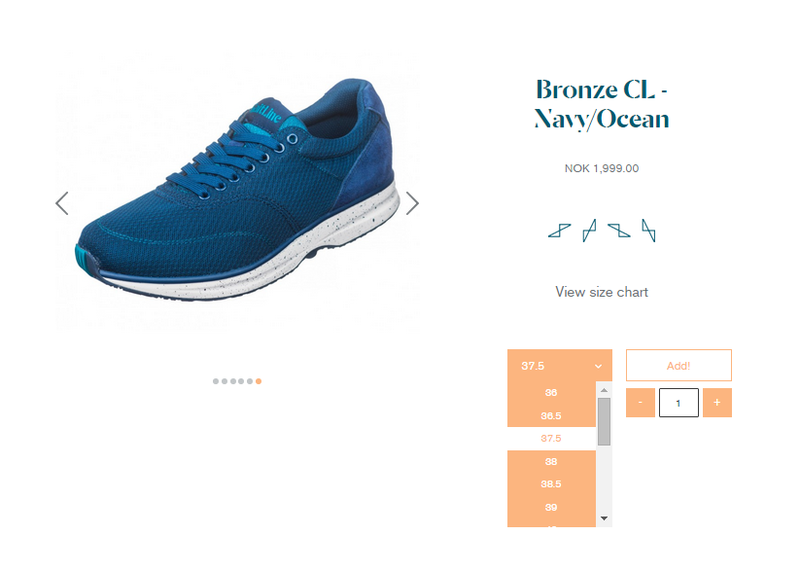 Alternatively, you can create several simple products like “Supercool shoes Size 1”, “Supercool shoes Size 2”, “Supercool shoes Size 3” and combine them into one configurable product “Supercool shoes”. One of the examples is a simple product with custom options and the other one is a configurable product — you will never tell which is which until you have checked the setup in the admin backend or inspected the code and found some specific indicators. 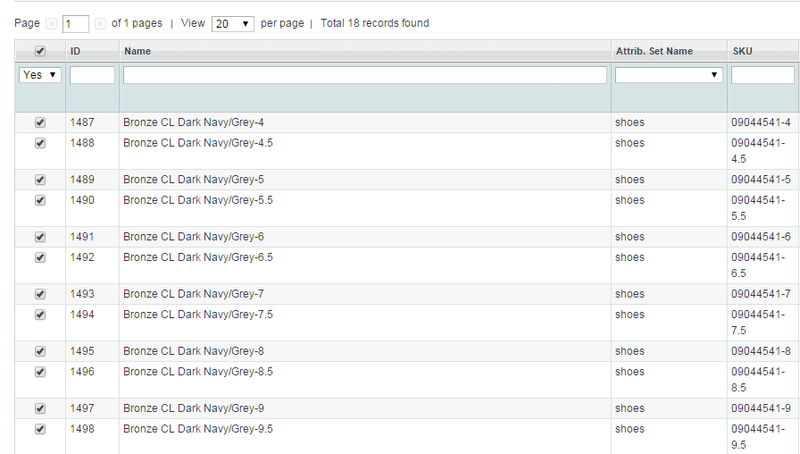 While the front-end appearance is more or less the same, the backend setup is completely different. Let’s start with simple products because they are.. simple. This is more or less everything you need to know about custom options. There are some extensions that allow more to be done with custom options, but the main idea is still the same. It’s just a part of the screen, there are more columns to the left and also a list of sizes above the table where you can specify the price in case it’s different for every product variant. As you can see the amount of time you will need to invest into product creation is huge. There are a few extensions that can help you do it faster, like Configurable Products Pro by Aitoc — you create a configurable product, specify the attributes and the extension will automatically create all product combinations. And we are working on the extension that automatically assigns simple products to the respective configurables in case you have your simple products already created or migrated from another cart. Clearly, configurable product management might bring you much more pain compared to simple products, but the advantages of using the configurables are totally worth it. It’s a much more SEO-friendly approach, all your simple products will be accounted for by the search engine of the store, and they will be included in the layered navigation (filters) if you decide so (it’s easily managed when you create attributes). Moreover, when you have one simple product with custom options you won’t be able to manage the inventory for every variant. With configurable products whenever some simple product variant becomes out of stock — the user won’t see that variant in the front-end, or they can still see it but won’t be able to add it to cart. In addition, if you have a configurable product you can sell every simple product variant individually, which is not possible with a simple product with custom options. Depending on the type of your business using custom options might make more sense, for example if you sell products made to order and they don’t come with predefined parameters. Now when you know the difference it should be easier for you to decide on the best way to setup the products. Stay tuned!